Since over 90 years our atelier is specialized in the realization of hand-carved stone statues. The production of sacred statues and religious sculptures accompanied our story since the beginning, leading to the development of numerous subjects of religious statues, statues of angels, statues of the Madonna and statues of Saints as well as religious panels. In this section you will find an example of some sacred sculptures made during the course of our activity for public and private clients. 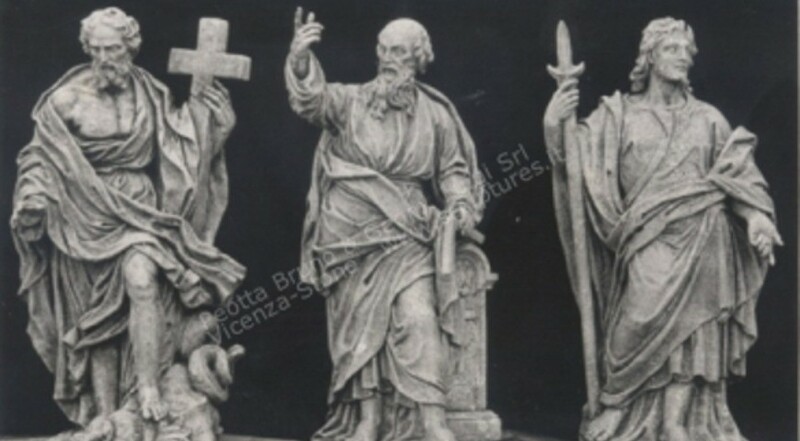 Outdoor statues for organizations and religious communities, garden or indoor handmade sacred sculpture in natural stone of Vicenza meticulously finished.